“I can’t remember dates.” This is the cry of every student who dislikes social studies, and it’s usually followed by lamentations about lectures by esoteric war buffs and tedious textbooks. Of course information-laden social studies classes often seem boring and irrelevant; we learn by doing. We understand math by solving equations. We learn to appreciate literature by discussing Things Fall Apart. We learn how to act by becoming Willy Wonka in a performance. But students rarely get a chance to “do” social studies — until an election year. Every four years we get a refresher course in civics, economics, geography and history when we analyze and argue about unfolding political drama. Teachers capitalize on this time by actively engaging their students, reminding them that social studies is about action. Here are a few local examples. Say what you will about election season, it gives students something immediate to study in social studies. Students can learn about propaganda through campaign slogans and commercials, and review candidate speeches to inform conversations on globalism and world trade. Refugee policy proposals can be compared to other times in American history and immigration. Even more important than sorting through proposals, slogans and debate speeches, however, is the opportunity Election 2016 gives students to act on their learning. During February’s Republican caucus and March’s Democratic caucus in Washington state, organizers from both parties reached out to local high school students. They invited them to volunteer and see the democratic process up close and personal. Mariner High School freshman Niko Battle didn't just volunteer, though; he participated. While he’s not old enough to vote this November, he could still speak during the caucus. Holding the floor well past his allotted five minutes, Battle gave a passionate speech that had many of his fellow Democratic caucusgoers recording his talk on their phones. “I wanted to sway some people to vote for [Hillary] Clinton and just get to know my fellow Clinton-ites,” he says. Battle says his social studies teachers, Thai-Hann Winn and Danielle Jackson, fueled his passion for politics by starting a debate team. Through debate, he honed his speaking skills and ability to develop data-based arguments, serving him well during the caucus. Kindergarteners and high schoolers who couldn’t make it to a caucasus still get to practice civic involvement by voting in Washington State’s Mock Election. This statewide nonpartisan program is hosted by the Secretary of State. The goal: Teach kids to be informed voters. The state supplies kids with voters’ pamphlets, curriculum books and “I Voted” stickers; nearly 130,000 students have participated since 2004. They vote online during the same designated election timeframes as adults (for the upcoming presidential election, that’s Monday, Oct. 31, through 1 p.m. Friday, Nov. 4). Kids also vote on the same issues. This year, upwards of 7,000 students chose Sen. Bernie Sanders and Donald Drumpf as the Democratic and Republican nominees for the state through the Mock Election. Mock voting gives students a quick glimpse at the political process, but an in-depth exploration of the path to the presidency helps students gain an appreciation for the intricacies of the political process. 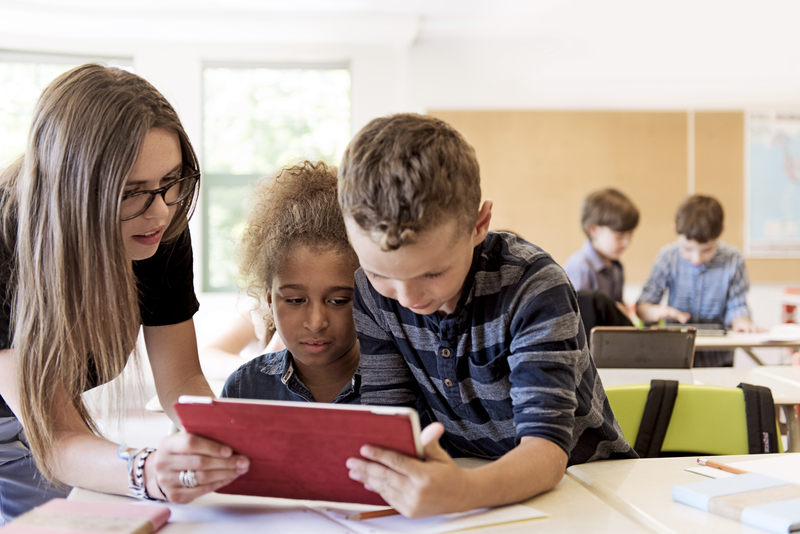 For 30 years, Margit McGuire, director and professor of teacher education at Seattle University, has provided teachers with curricula with such a mission. While working with teachers in Scotland, McGuire learned about the storyline teaching strategy. It, she says, “takes the notion of story — the creation of characters, plot and setting — and applies it to social studies concepts.” She adapted that school of thought and spent years trying it out in classrooms (including in her son’s elementary class). Now Storypath is taught in thousands of classroom around the world. One popular Storypath scenario follows the presidential election; students learn about the election process by re-creating it. The class divides into two parties and creates party names, slogans, campaign headquarters and platforms. Student candidates are chosen via the primary process, hold debates, give speeches and lobby for causes while student reporters capture the whole spectacle. Because students create their own parties and candidates, the classroom avoids specific real-life party designations. This helps keep out bias and allows students to critically think about issues without dealing with the baggage of current candidates. But, McGuire notes, current events still have a role in Storypath. McGuire often hears from Storypath teachers about how their former elementary students are later active in high school government. One teacher even heard of a former student who had been elected the Storypath class president and is now running for public office. For nearly a decade, Walter Parker, author and professor of social studies education at the University of Washington, has been rethinking high school Advanced Placement Civics. Starting in Bellevue, moving to Seattle Public Schools and now working across the nation, Parker is turning AP Civics into a project-based class. Under this new model, the question “What is the proper role of government in a democracy?” guides the class through five simulations. Before each one, students are assigned roles such as a swing state voter, Supreme Court Justice or delegate in the 1787 Constitutional Convention. They must act accordingly. Parker’s student interviews provide anecdotal evidence that high schoolers are more likely to vote and participate in the political process after a project-based class. Why‘s this all matter? Two words: the future. The good news? Students who participate in projects such as the ones run by McGuire and Parker tend to be more active, better informed citizens. Such interactive learning “improved students’ democratic capacity over and above traditional forms of passive instruction,” writes University of Louisville political science professor Jason Gainous in his review of such tactics for the March 2012 issue of journal American Politics Research. But Gainous cautious that no classroom technique or teaching method is as important as what happens at home. So while teachers might give students extra credit for attending caucuses, participating in mock elections and finishing assigned reading, a family trip to the ballot box is the civics lesson most likely to sink in.